Inscriptions are open!! SAVE YOUR PLACE! 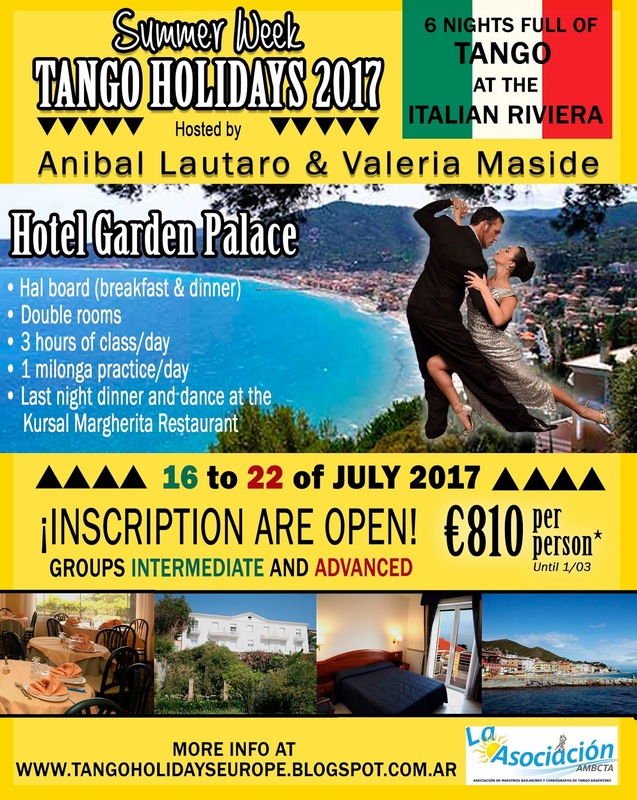 INTENSIVE TANGO WEEK in Italy!!! 30 km from Genova. Best way and economic option is fly from Brussels to Milán.